What to Feed Your Baby for review. As always all opinions are my own. I’m all about feeding the kids healthy food and snacks. Honestly, I could stand to eat more like Baby E. Zoe is another story. 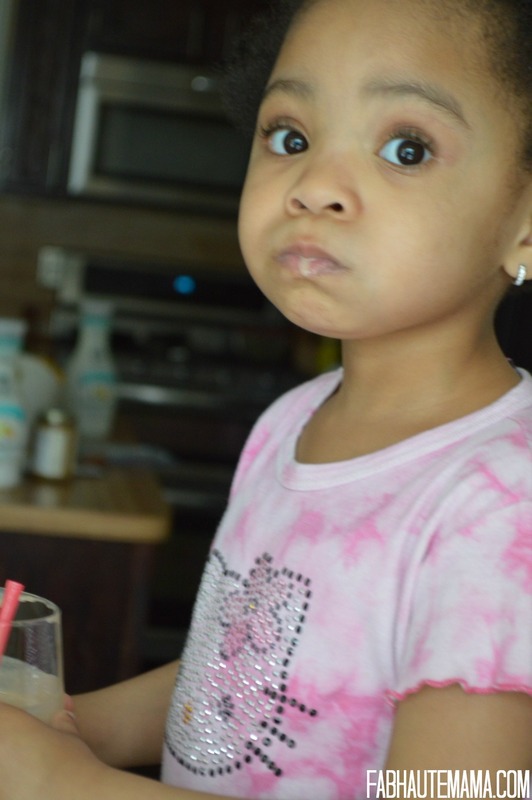 While she does eat good, it is hit or miss these days because she has become a picky eater. Some of it is my fault because I allow snack foods and I stopped arguing with dad and grandma about the things they feed her. But I am working on this problem and hoping to avoid it with Baby E altogether. 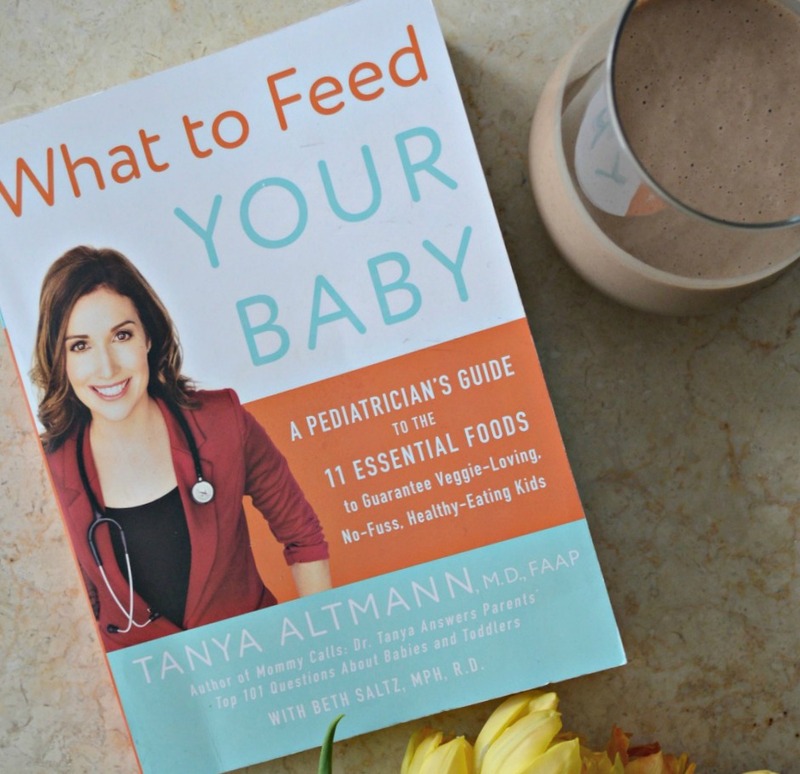 ‘What to Feed YOUR BABY’ by Dr. Tanya Altmann is the perfect book for us to address Zoe’s picky eating, encourage continued good eating habits with Baby E, and overall better eating habits as a family. This one book covers infant feeding through the toddler and preschool years. 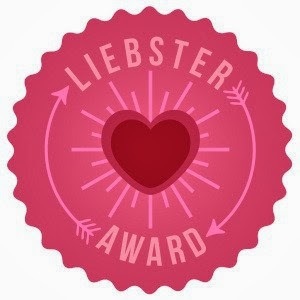 That means it’s perfect for us because we are just leaving the baby stage and now have one toddler and one preschooler. The book is based on the 11 Essential Foods to guaranteed veggie-loving, no fuss eating kids. 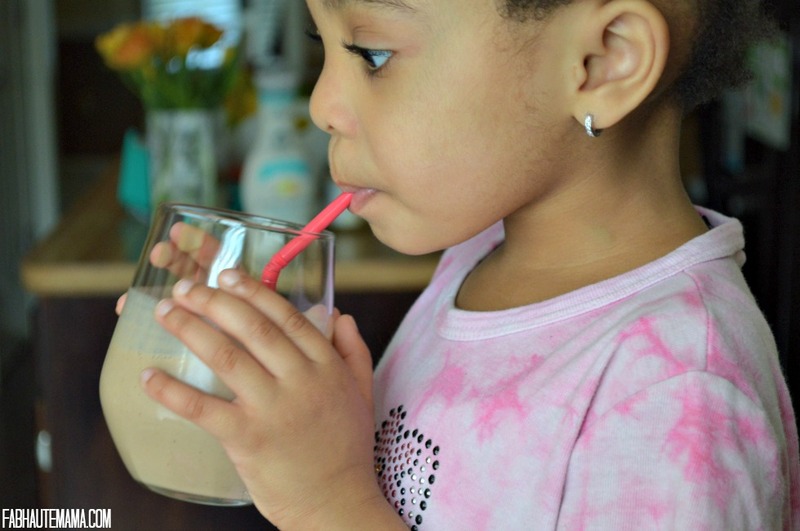 I followed this basic foundation with both kids and I know first hand that it really works. 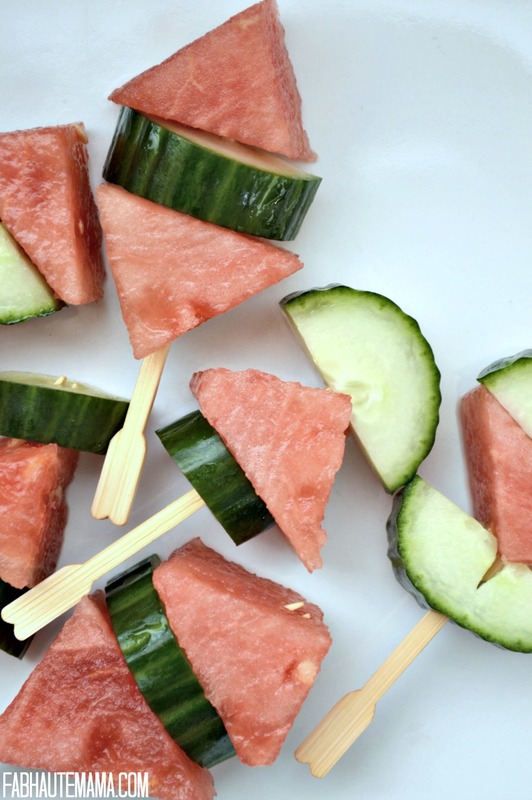 I think a little bit of the picky eating is par for the course with toddlers and preschoolers. Just today I was talking to one the parents at Zoe’s school all about our 3-year-olds and their food drama. 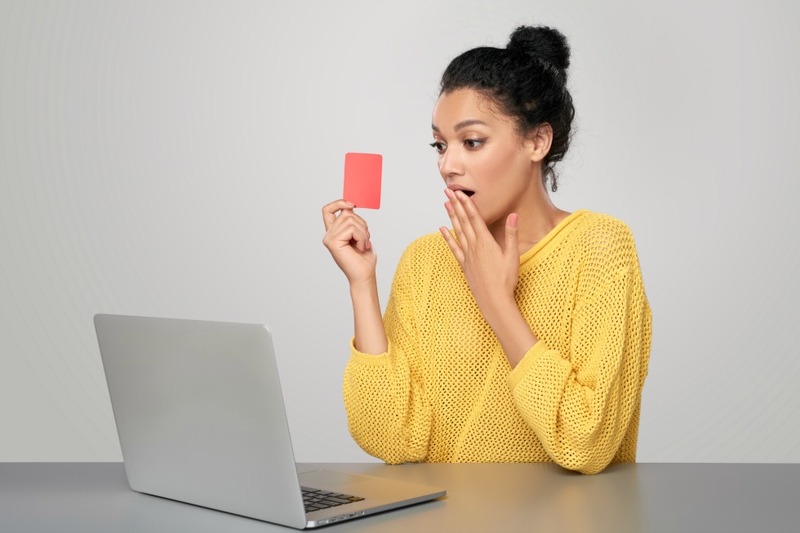 But we both agreed that sometimes we take the easy route with something quick and usually not healthy because we can’t deal with the “threenager” drama. 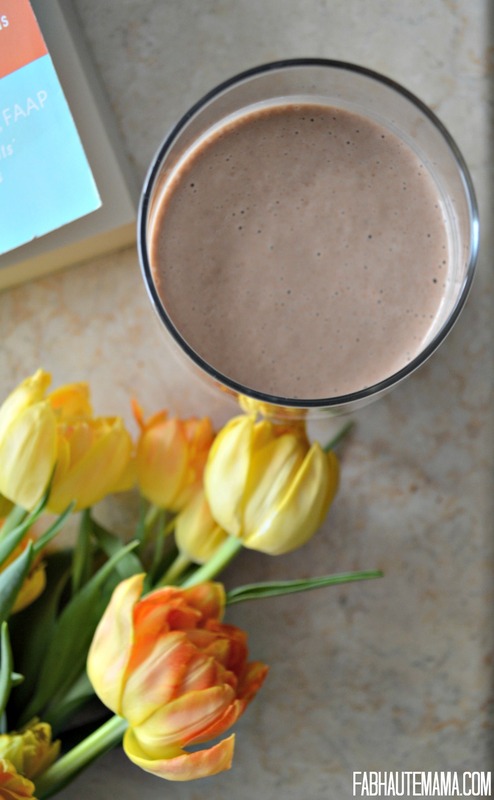 Zoe and I usually prepare a super blue smoothie or a yummy peanut butter smoothie together. 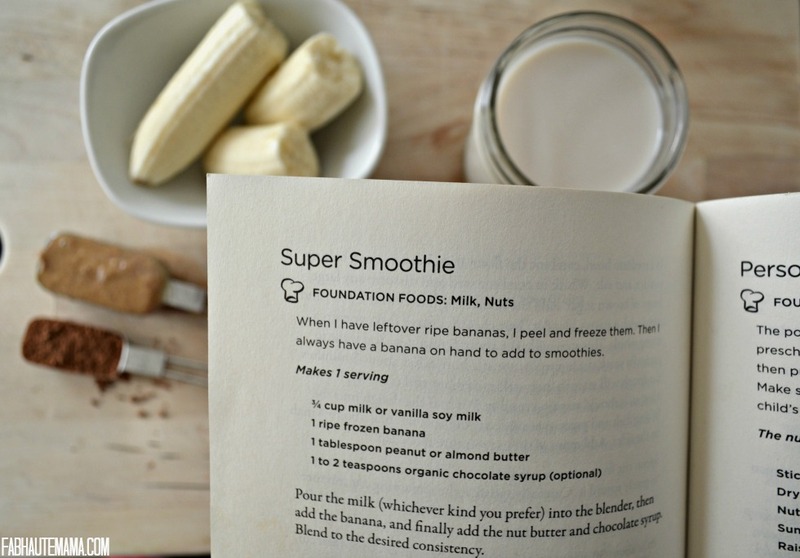 Yesterday we made the Super Smoothie recipe from the book. It is almost the exact recipe to what we usually make but while optional, I went ahead and added organic cocoa powder (we couldn’t find the syrup) as suggested by Dr. Altmann for an even yummier “treat”. Blend it, pour it and enjoy! Why do kids insist on doing this? She loved it and cried for more. What’s with the crying kid? 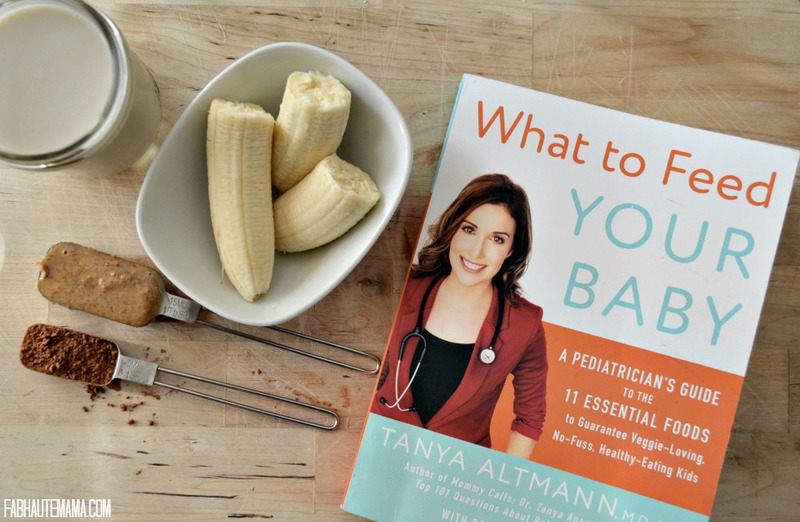 Chapter 15 of What to Feed YOUR BABY, is dedicated the healthy recipes including baby food, breakfast, lunch, dinner, and snacks. Learn all about the 11 essential foods, introducing foods, avoiding or combatting bad eating habits and then make a few recipes. 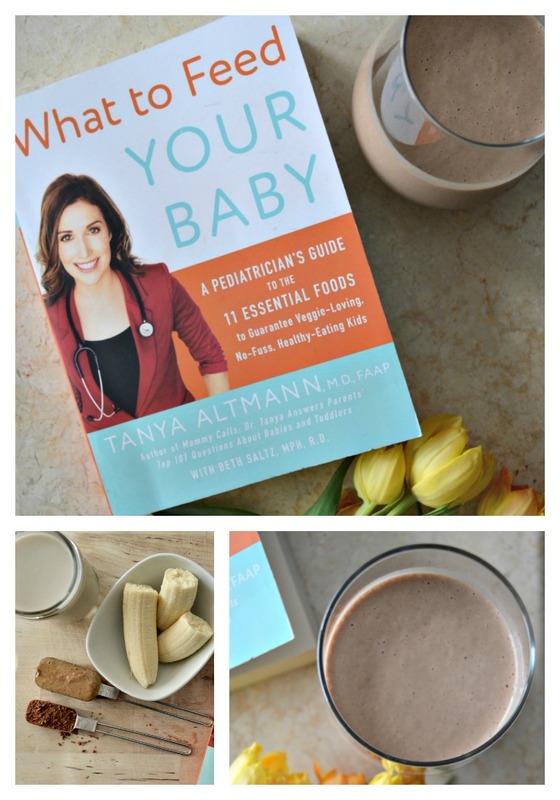 Any book with nutritional information, tips for moms plus recipes is a win for me. 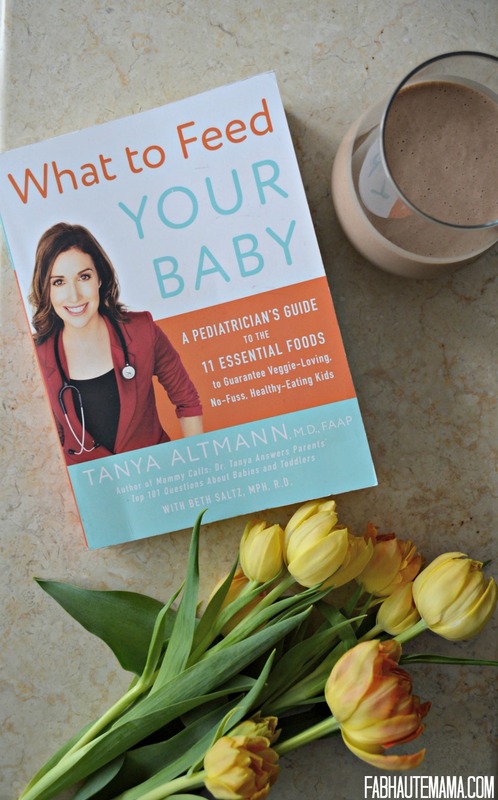 Order your copy of What to Feed YOUR BABY here and follow Dr. Tanya on Facebook and Twitter for more tips and advice. 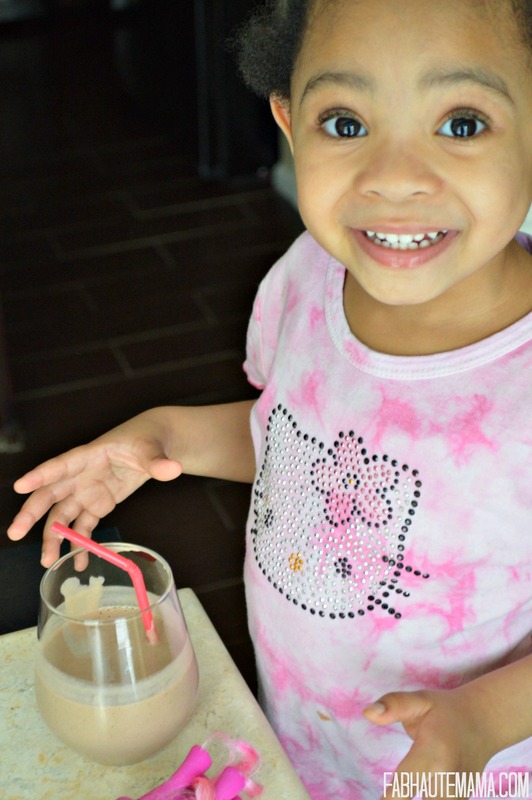 Do you have any favorite recipes you make for your kids or any food struggles you need help with? Leave them in the comments and I’ll be sure to respond. Fab Haute Mama will receive a small percentage of your sale. Thank you!